Reporting LIVE from Crizal News. 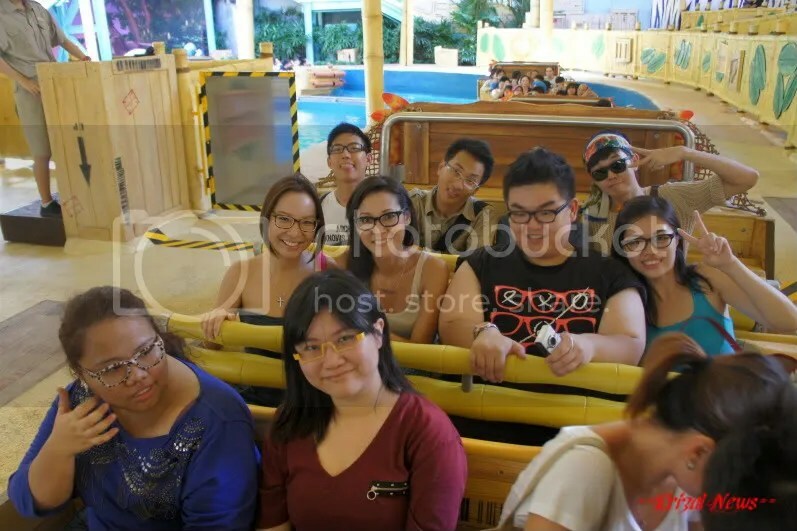 Princess Jermaine has been sighted at Universal Studio Singapore (USS) today with her famous Crizal Lenses. 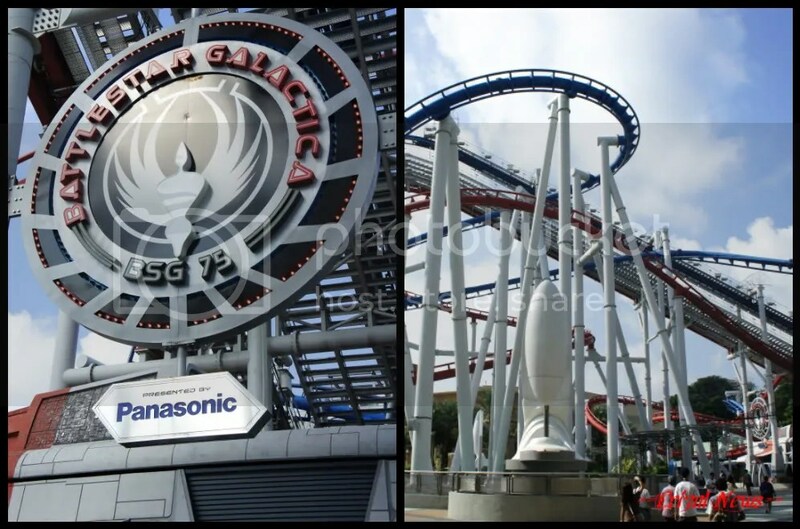 What’s so special and want to know how the Princess survived her stay at USS with it? This is Professor Einstein reporting live. The secret behind her lenses is that it will repeal the 5 enemies of clear vision!! This unique len will go against smudges, water, scratches, reflection and dust in order to pamper Princess’s delicate eyes. Especially in places like USS, normal lenses won’t be able to protect the princess’s eyes. Even Professor myself cannot resist the goodness of the lenses and have done few experiments with it as well. Hahaha! So i shall now return the camera back to the studio where we will show you some footages taken at the USS earlier and unveil the wonders of the lenses. It’s 9.30 am in the morning and we are at a very CROWDED Universal Studio Singapore! It’s a very HOT day but everyone’s mood is HIGH!! Everyone is anticipating the arrival of Princess Jermaine!! A special gate and tight security has been put in place to ensure her safety! PRINCESS JERMAINE HAS ARRIVED IN HER LITTLE YELLOW CAR!! Wait!! Isn’t Princess wearing her spectacles? Why are the lenses tinted?? This is because while her Crizal lenses repels the 5 enemies of clear vision, Princess Jermaine also chose to have an additional Transitions coating by Essilor to block out harmful UV rays!! The coating will automatically adapt and protects eyes from damaging UV rays to give a more comfortable viewing experience. All eyes are on the princess!!! Zooming at 82km/h, this roller coaster will twist, turns and propels everyone over 14 storeys into the air.. 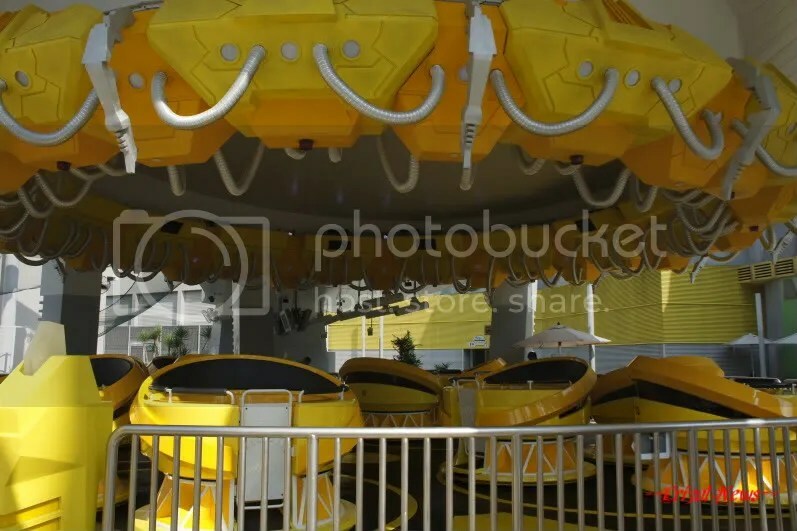 But after seeing this, Princess changed her mind and took the ride beside it…. The Whirling twirling action will ‘throw’ the princess around like a rag doll! SEE HOW TERRIFIED THE LADIES ARE!!! In order to survive the giddiness, Princess will have cover her eyes/Spectacles with her hands..
After 3 LONG minutes of ‘palm-rubbing lenses action’, you will think that there are plenty of finger prints on the lenses. BUT NO, the princess has proven you wrong this time… THERE are VERY LITTLE SMUDGES which obstruct her vision! Happy Princess has conquered RIDE NUMBER 1 and proven to us that Crizal lenses ‘hates’ SMUDGES! With her crystal sharp vision, Princess is able to locate FAR FAR AWAY which is FAR AWAY without the help of any map. Such magical and dreamy place. Princess Jermaine with her new friends. See how her lenses with the additional transition coating (which she has opted for) protects her from the evil sun rays! Tsk! It’s the same FAN seeking attention again! In Far Far Away, there’s Shrek 4-D Adventure. Princess Fiona and Shrek is going to bring princess you a fairy tale adventure. Princess is in for a nice treat as she’ll get to see, hear and FEEL all the actions from her seat! But the theater is so dark! No worries, her Crizal lenses are Anti-Reflective! That means Princess will still enjoy enhanced visual performance for activities in dim places! Before the start of the show, 3D glasses are a MUST in order to enjoy the effects. But Princess is completely blind without her spectacles so she can only wear the 3D glasses over her spectacles. But there will be friction caused and there bound to be scratches! But not to worry! Crizal lenses have anti-scratches capabilitieswhich meant surfaces are protected from scratches which affect vision quality!!! If you are wondering what’s the extra D, you gotta experience it yourself at USS! Last two stop for the Princess, the MAGAGASCARAND the WATER WORLD!!!! 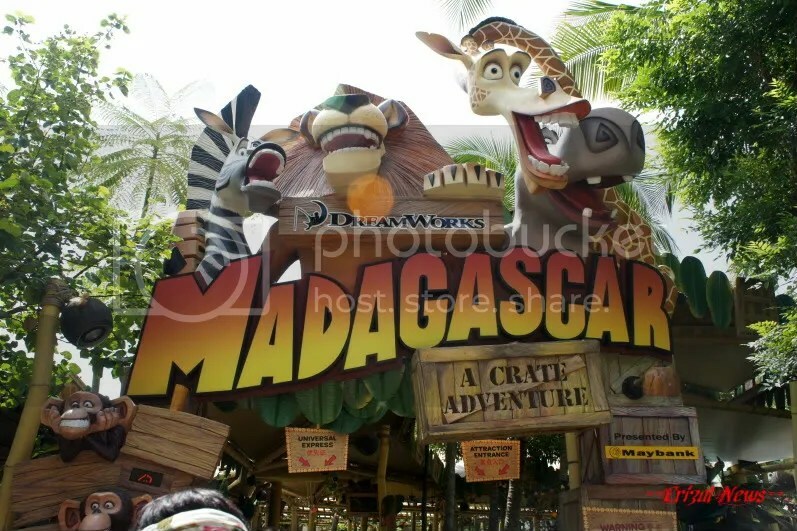 In’ A CRATE ADVENTURE‘, princess will go thru a dark unforgettable riverboat ride with the four MADAGASCAR HEROES! It’s going to be a dark and bumpy ride but the Princess is well equipped for what awaits her. As you know, Crizal lenses have anti-reflection’s function so it will eliminate reflections and ‘ghostly’ images due to artificial lights. While in the dark tunnel, princess will still enjoy good visual performance of the MADAGASCAR HEROES. Not only that, there will be no eye discomfort due to glares and dizziness from prolonged looking at the characters even in low light condition! Last Stop, it’s time for some water adventure at the WATER WORLD!!!! Be in awe by death defying feats, awesome fireball explosions and an ocean of thrills by seaplane right in front of your eyes! But such performance will definitely leave you wet! I meant soaking Wet! Imagine how pathetic you’ll be when this comes splashing down. So want to make a guess on which area Princess has chosen to sit? Poor Princess who will be splashed with water but her crizal lenses will be spared!!! Her lenses will repel water which causes blurred vision and vaporization. Its Water-repellent properties prevent water from staying and spreading across the lenses. Now she can still maintain her looks and also enjoy the fantastic show! Time flies when you are having fun and it’s time for Princess to head back home. Princess is admiring this tree full of candies when something ‘dangerous’ approach!! Yes you should keep out! IT’S CUTE BUT DUSTY KUNG FU PANDA!!!! No wonder everyone is keeping an arm’s distance from him! But Princess will like to have a photo with him but dust might irritate her eyes. But stopping her is not a good solution as it will disappoint her. It’s the Crizal lenses to the rescue again! As it has anti-static properties, it will prevent dust accumulation! The spectacle and lenses will shield her eyes from Dust and give her clear vision!! Now, it’s time for the Princess’s beauty sleep. To facilitate the princess leaving USS, Parking beside the roadside is strictly a BIG NO NO! We have come to the end of the adventure and i hope that you have enjoyed this media coverage. As a token of appreciation, Essilor and Princess will like to reward you. Princess will be uploading a video on YOUTUBE and readers just have to comment on her page. Simply tell her why you deserve to win a free pair of prescribed Crizal lenses and spectacle frame of your choice (up to $150). She will be running the contest and pick the best comment herself. So remember to give her your fullest support!! Christmas Shopping Made Easy with Althea! Sparkle with Piolang 24K Gold Wrapping Mask! Althea x Get It Beauty – Real Fresh Skin Detoxer! All about Theraclear Acne Therapy and More on the 3rd & 4th Session!